methods for working on lifted trucks? 4" lift on 33's and working in the engine bay I find myself either standing on tire rim, tire itself, trying to balance on bumper, climbing in or sometimes just laying on top of whatever I need to reach. I've tried using a small step ladder but it is always unstable and was just wondering what you guys do to work on your lifted trucks. I've thought about getting those tire steps but the few I"ve looked at won't fit my mud tires but honestly have not spent a ton of time looking at different types yet. 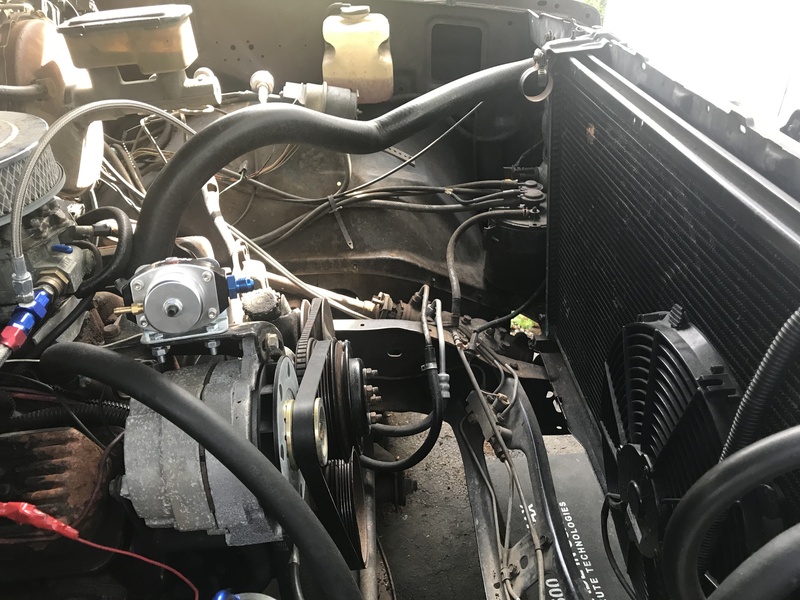 I work on my truck like most I"m sure just in my yard so I don't have a shop and being a full size k10 it does not fit in my garage (that and I'm not willing to kick my wife out of it). I"ve even thought about ordering a new bumper that is big enough to just stand on but they are definitely more expensive then I'm willing to spend right now. Re: methods for working on lifted trucks? If you use a tire step, be careful, I've seen them ruin many fenders. 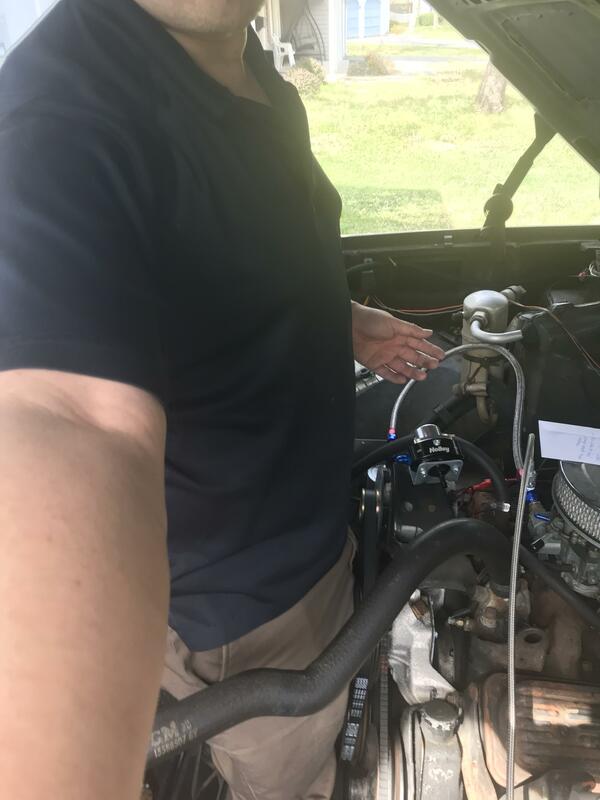 Yes, i can physically stand in the engine compartment. Makes working on the engine SO much easier. It also helps to lose weight/be thinner and i may start a separate thread on that topic as well. A metal folding chair (as found in churches, community centers or on WWF) works great for working on my 73 with a 4" lift.